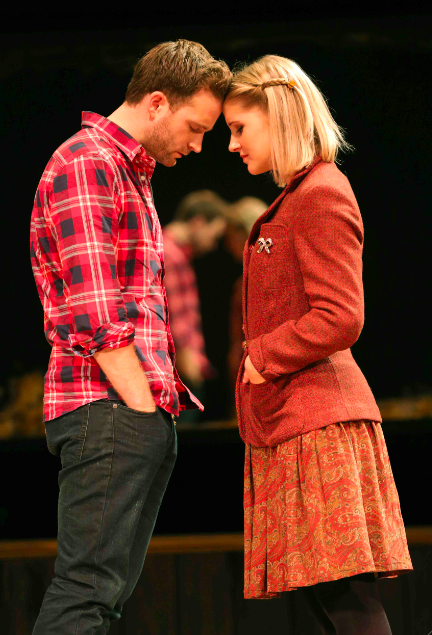 Winning a Tony® Award might be a “once in a lifetime” affair for many, but not for the esteemed musical, “Once,” a fan favorite. The highly acclaimed Broadway performance acquired eight Tonys along with The Best Musical Theater Album Grammy® award. And it’s coming to Bass Concert Hall as part of the Broadway Across America series sponsored by Lexus of Austin that begins its run Feb 24, 2015. As if this weren’t enough, the exquisite theatrical production was also declared as Best Musical by New York Drama Critic’s Circle, Drama Desk, Drama League, Outer Critics Circle, and Lucille Lortel with certainty. This accumulation of selective awards undoubtedly enhances this number’s shine. The musical tells the story of an Irish musician and a Czech immigrant who are drawn together because of their beloved common denominator: music. As the story progresses, this friendship flourishes into an unexpected, intricate romance. This relationship blossoms with the production of alluring songs in which they collaborate on. It has been claimed that the musical “is a celebration of life and love: thrilling in its originality, daring in its honesty… and unforgettable in every way.” We definitely don’t want to miss out on this one, do you? To get your tickets to this extraordinary production (lasting from February 24th- March 1st at Bass Concert Hall) visit http://www,BroadwayinAustin.com, the Bass Concert Hall Box Office, or call Texas Box Office Outlets at 512.477.6060.